Today we share 7 best ideas to make a craft from waste material around us. These are easy best out of waste craft ideas which anybody can use most likely kids. For their projects or home decoration or more. Have a look at these creative things & learn how to make beautiful home decor or useful things from waste products. Take the frame & paint it to make it look fresh and new. Pick up a pair of lovely, intricately carved cast iron handles and attach them to the edges with shallow screws. 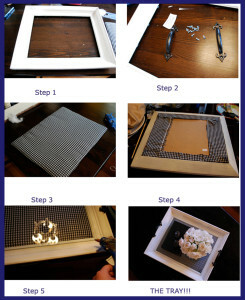 And in that picture insert, use a fabric which you would like to use as the base of your tray. Just stick it onto the cardboard using some glue/ good adhesive. 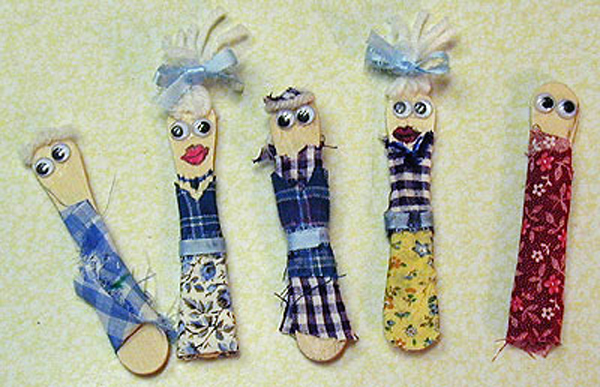 Make some cute looking bookmarks for your grandparents using popsicle sticks. 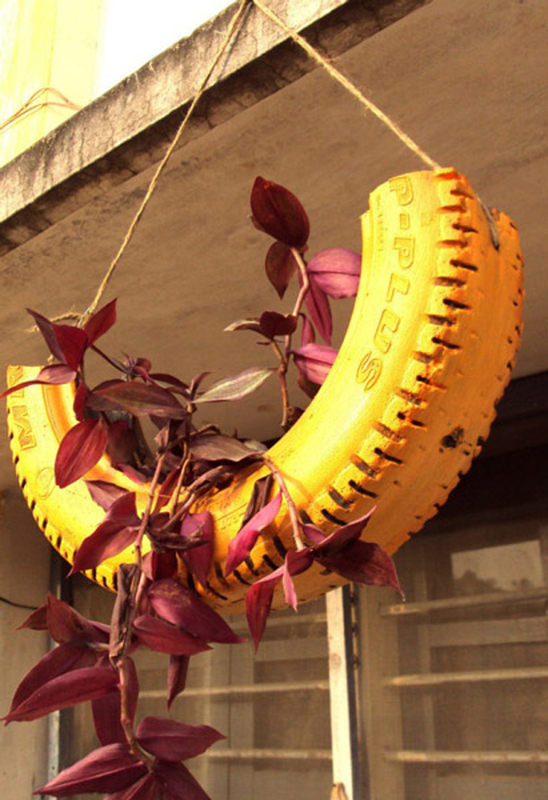 You can use an old car, bike or other vehicle tyre into a beautiful flower pot for your garage area of the home. Make the corner of your garage, cut them and paint them and make very creative planters to hang down your balcony. 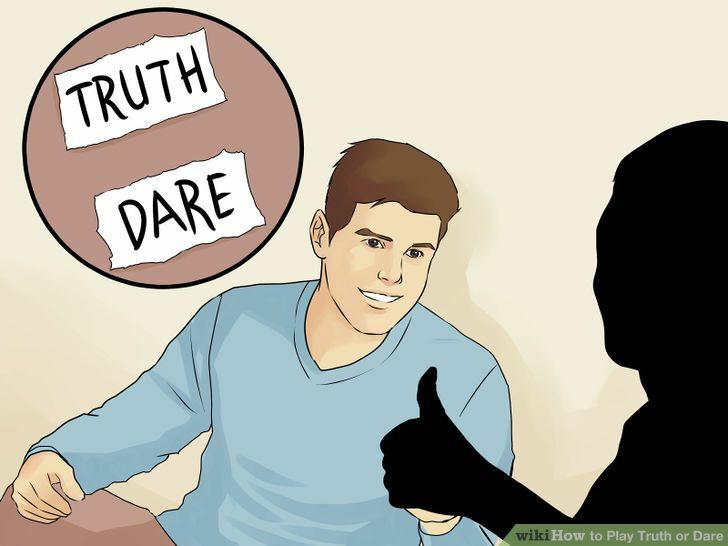 This is the easiest craft to make and useful as well. 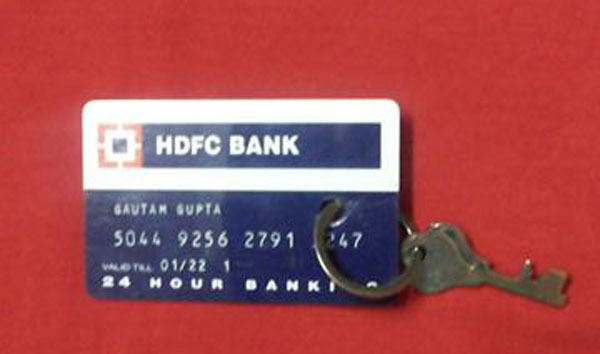 You can use your old cards as a key chain. simply punched a hole into the expired card, run an old ring through it. That’s it! You have a cool key chain out of waste credit card. This is also easiest craft to make especially kids tend to make these with old tennis balls. Let your creative juices flow and make a cool wall hanging for your kids’ room using an old tennis ball. Just see how many fantastic things you can create out of a simple ball. We all have a collection of bottle caps at any stage of life. These are the easiest things to collect for anyone. Here we teach you to make different products from the use of bottle caps like mirror etc. 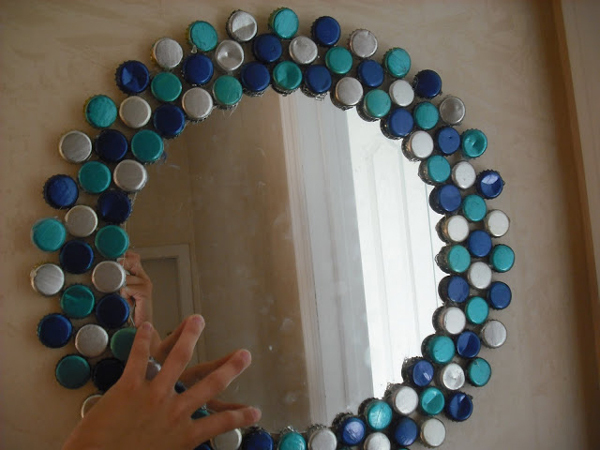 Once you have about 100 of them, paint them all in 3 different colors and arrange them in a mosaic to make an attractive mirror like this for your room.This is one of the Idea to create the best wall mirror using the waste old bottle caps. You can create more bottle cap crafts like this best out of waste ideas read more from the below link. We all needed to use pen holder in our life. But Students need to have some creative handmade pen holder to show their creativity and talent. Cut the cardboard according to the length of your Popsicle stick. For example, if your Popsicle stick is 4 inches long cut the cardboard of 4″x4″ inches. Squirt some glue over the cardboard and paste Popsicle sticks in a row. Take another Popsicle stick and paste it over the last stick of the square. Give your opinion about these 7 Best Out of Waste Crafts Ideas to create beautiful products by using waste materials, learn to make other home decoration crafts from waste products.